Do you know that you are a leader? I mean, sometimes you know that you are a leader. And sometimes you have a leadership role and don’t even realize it. It is easy to think of leaders as those that have a high rank – such as president, CEO, director, pastor, chief, captain, master or … supreme lord chancellor of all that is important. However, it doesn’t take a title to be a leader. A leader is someone that has influence or responsibility over others. You are a leader. In fact, you probably have multiple leadership roles – some with a title and some without. 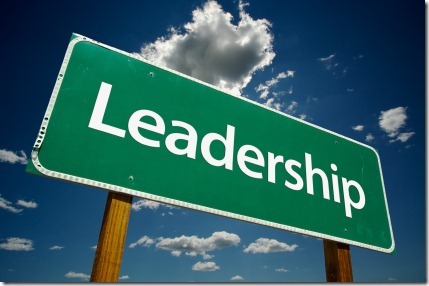 Following are just a few leadership roles in which you might find yourself. Professional. You might be paid to lead a company, department or organization. Parent. If you are a mom or dad, you are definitely in a leadership role. Coach. Obvious? It should be; although, it can be easy to think about the role as just managing a roster. Teacher. A teacher submits to the authority of the school administration; but, they are most definitely the leader of the classroom. Siblings. There always seems to be one sibling that the others look up to. Friends. You have a tremendous opportunity to influence your friends through your relationships and the example that you set. Plus, someone has to decide where you are going out to eat! Neighborhood. You might be on the board of your HOA. You may have the house where all the local kids hang out. You may be the one that sits on your front porch and greets your neighbors. Regardless, your neighbors watch to see what you will do – and, you have the opportunity to set the standard for the rest to follow. Church. Are you a volunteer in any form or fashion? If so, you are a leader. Personal. We have a responsibility to lead ourselves. If we don’t, we will not grow, go anywhere or achieve anything. I know that there are many more roles out there. So, help me out and list some not-so-obvious roles, and some of your leading roles, in the comments below. You can click here to leave a comment or to share your list of leading roles. You’re right. It takes intention and initiative to actually lead a family – things a lot of men neglect within the family context. I am also finding that a lot of guys just don’t have a good foundation or understanding for being an effective leader within the family. I think you hit them all…a lot of people don’t realize that they are leaders. Therefore, they don’t give their 100%. It is important to recognize that we all have a leadership position in some way. Recognizing that fact is, as they say, the first step. Then, you can begin to look at whether or not you are truly leading. And, I agree with you, we all have some sort of leadership role. It might be a bit redundant, but you listed “parent” as a leadership role, but not “husband.” I noticed that Adam mentioned “family”. But I think that there are significant differences in how I lead my children, vs how I lead my marriage. Of course, trhat might just be my situation, but I think it’s a big one. Mty leadership in my marriage is reflected in my parenting, and then on into other realms of my life as well. You’re right Jeff. I didn’t think about it when I put my list together; but, their is a very significant leadership role in being a husband. I think we have lost a lot of understanding in our culture regarding the roles of husbands and wives. Is this where we try out for the lead role? I could use the work. Good thoughts, Steven. You covered a lot of ground in a hurry and broadened the definition of leadership to embrace areas most of us wouldn’t give much thought to. Auditions will be held next week in the auditorium! I think there is a challenge to realize that there are many areas in our lives where we need to use the leadership principles that we learn. Leadership is not just for the day job – we need to be intentional and lead each part of our lives.